Uncharted 3 is out today! 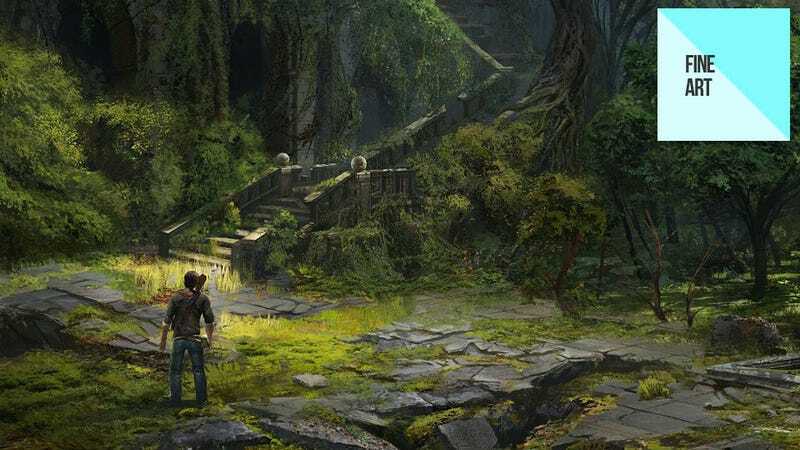 In honour of the occasion, I thought now would be a good time to have a little Uncharted party here on Fine Art, and showcase concept and 3D art from all three games in the series. This is a massive gallery, so you might want to go make a cup of tea before you settle in. Spanning multiple games and many artists, the work you'll see above obviously isn't the work of one person. It's the work of many—those many being Kory Heinzen, Shaddy Safadi, Hanno Hagedorn, Andrew Kim, Bryan Wynia, Rich Diamant, Eytan Zana, and the team at Scribble Pad Studios. I've included a few different types of art in the gallery, from rough pieces simply outlining the general setting and mood to detailed environmental designs to the 3D models that essentially "play" the role of Drake and co. on their adventures. There's even a 3D model of Elena from the first game before she underwent her "blondification".